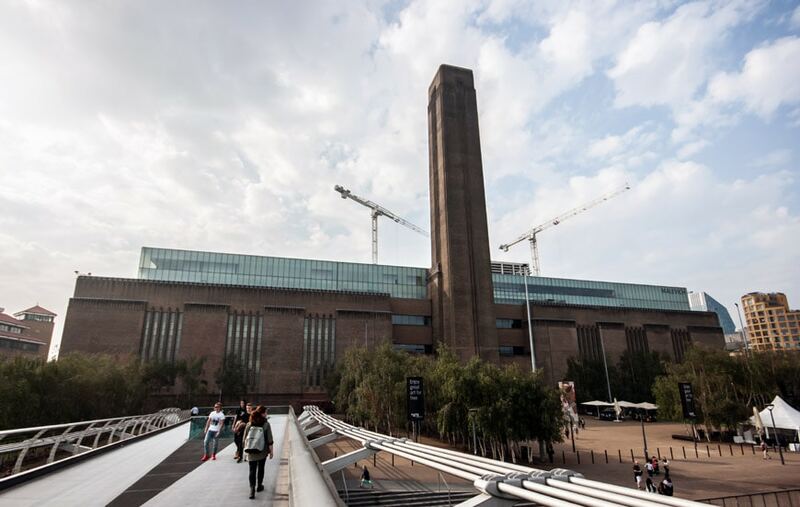 Home > Everyone can make art at the Tate Modern! Everyone can make art at the Tate Modern! 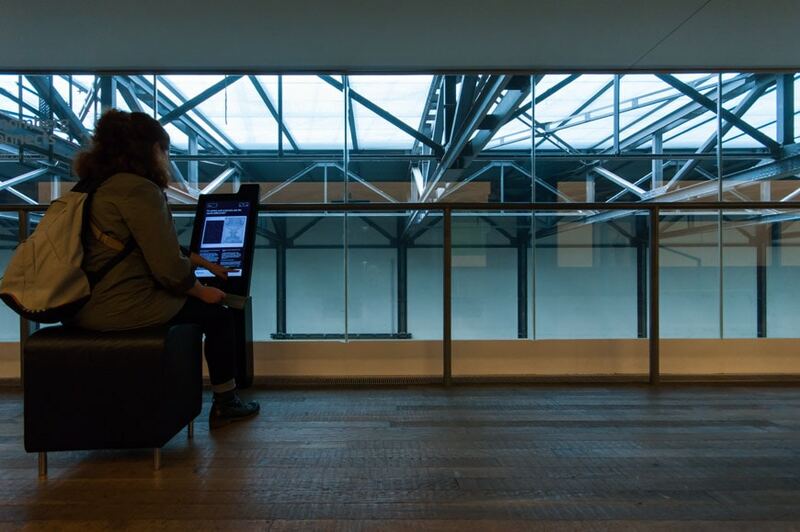 interactive digital system supported by Bloomberg at the Tate Modern. 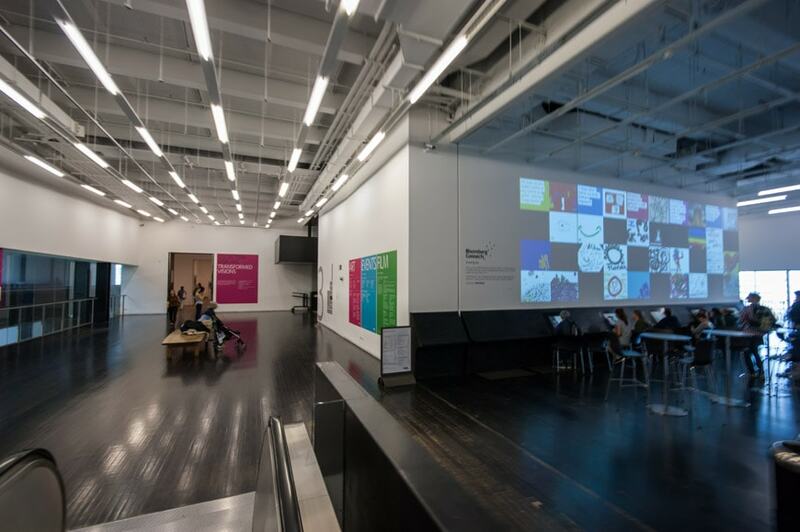 Since September 2013, at the Tate Modern in London is active Bloomberg Connects, an ensemble of digital interactive projects, supported by Bloomberg and installed in various spaces at the museum. The projects are aimed to invite all to interact with artists and other visitors as well as to allow everyone to leave a trace of his presence by providing a creative contribution. 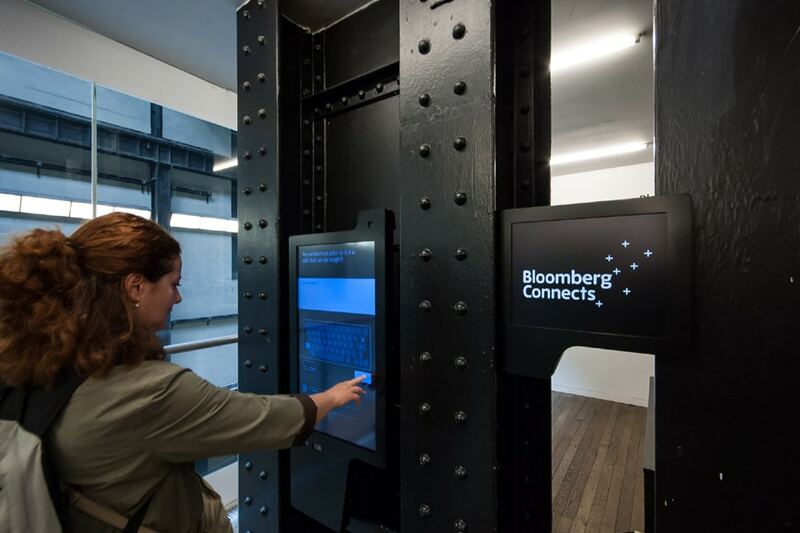 In June 2016, on the occasion of the opening of the much anticipate Switch House extension of the Tate Modern, once again designed by Herzog & de Meuron architects, an enlarged and improved version of Bloomberg Connects was inaugurated. 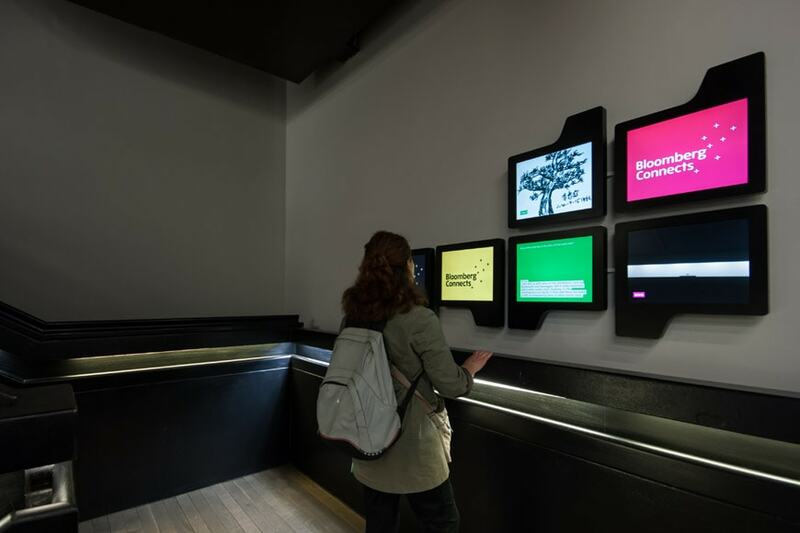 The “backbone” of the project is constituted by 75 interactive points – half of which installed in the central staircase – through which visitors can leave comments about their experience at the Tate, post opinions on various topics, watch videos, suggest alternative or additional captions for the artworks on view in the museum, and more. 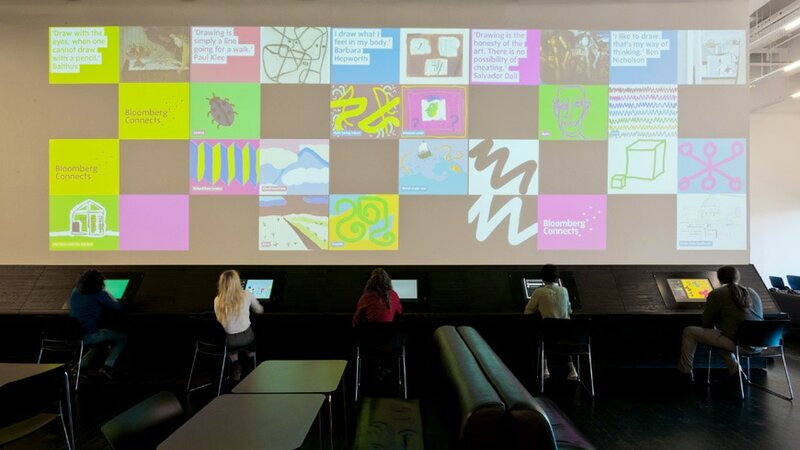 The interactive network, conceived by Jason Bruges Studio, was built up by using reconfigured monitors and terminal screens donated by Bloomberg and equipped with Raspberry-Pi units, credit-card-size computers developed in the UK to promote the learning of computer science in schools. The units react to people’s presence, attracting and inviting the visitors to freely interact with the system. 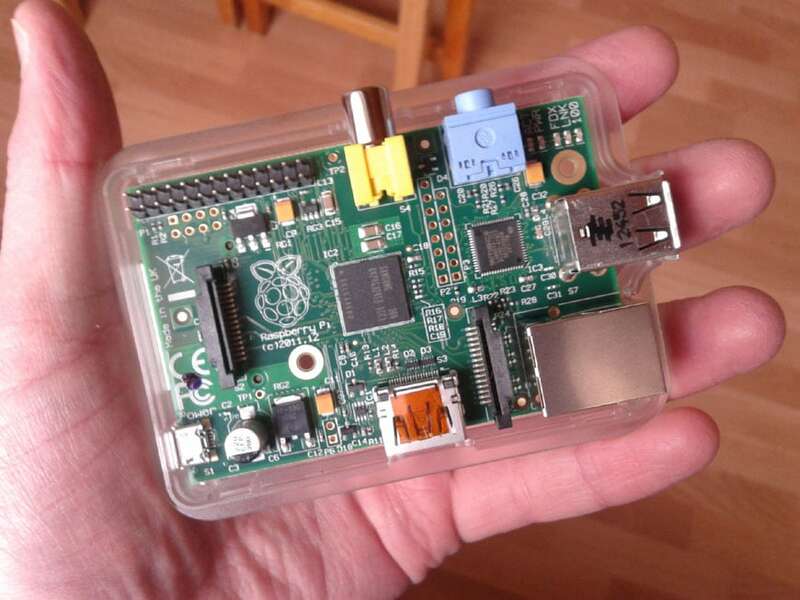 Bottom: A Raspberry- Pi Unit. Photo by Jan Grosser. The system is constituted of three main elements/systems. 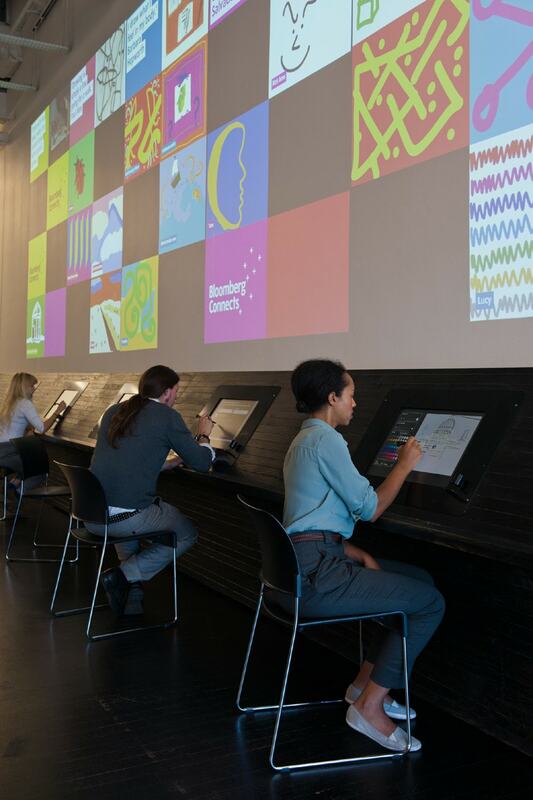 Bloomberg Connects – Drawing Bar. An array of interactive touch-screens, installed on the third level of the Tate Modern’s building, is the instrument through which visitors are free to express and share their creativity by adding their personal “tile” to a virtual mosaic aimed to represent the Tate users’ imagination. Through the Drawing Bar, it is possible to trace a drawing by using one of the available sketch-pads and immediately see the work becoming part of a large projection superimposed on the back wall, this way everyone can become a co-creator of a fluid and constantly-changing collaborative digital artwork. Global Studios, is another element of the project: artists from all over the world invite visitors to take a virtual tour into their ateliers, and reply to questions posed by the public, the resulting videos are published on the internet and displayed on a series of monitors installed at the Tate. 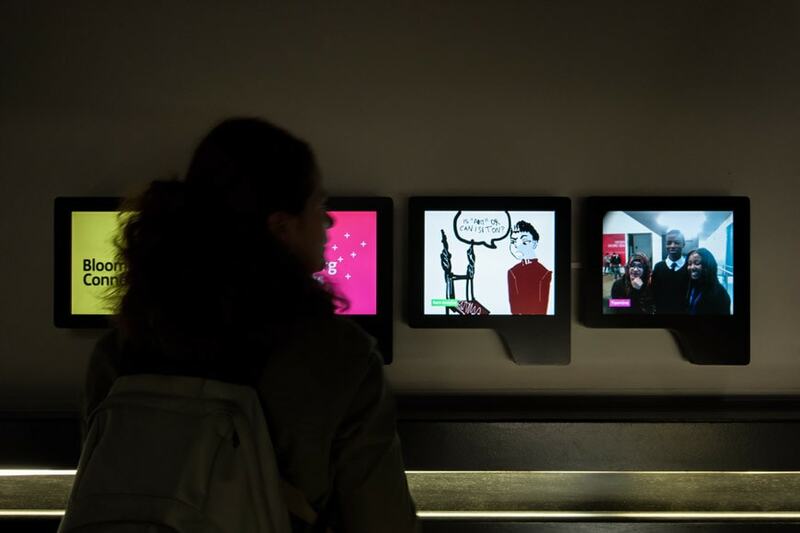 Bloomberg Connects multimedia guide is a learning and interaction tool aimed to facilitate a better comprehension of the artworks exhibited at the Tate. Through the guide, the public can watch artists at work, hear them talking about their experience, give ear to the music that they listen, apprehend the critics’ point of view, and play with various art-related interactive applications.